Our sister publication Adweek had previously tipped the majority of those set to be celebrated at a September 30 gala event to be MC-ed by Morning Joe co-host Mika Brzezinski. 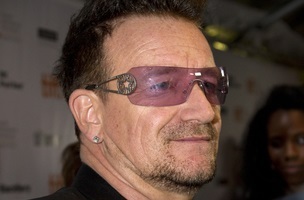 But today, they added two more notable honorees: U2 lead singer Bono and the charity he co-founded, (RED). While Adweek Brand Genius recognizes excellence in brand-building efforts over the past year, the Brand Visionary honoree acknowledges a career’s worth of achievement and celebrates an individual’s propulsion of their cause or brand to worldwide renown. Previous Brand Visionary recipients are former New York City mayor Michael Bloomberg (2012) and Russell Simmons (2013).